way of painting units, I just find it unfulfilling. I like to concentrate all my efforts on one model, watching it grow and develop with each new coat or colour, and working to give it the best paint job I can give it. However, this system doesn't quite work when painting the Knights of Minas Tirith that I have been working on. Because of their shining armour, I use a lot of washes on them, which can mean long drying times. So, while waiting for that to dry, it is necessary to have at least one other figure to work on. For the past two Knights of Minas Tirith, this has been Legolas! This figure is one of the plastic figures from the Mines of Moria set. As such, it is 'theoretically' not based on Orland Bloom's portrayal in the movies, although you couldn't tell that by looking at the outfit. Anyway, its a great fig. Like the best figures in The Lord of the Rings line, he is simple, with an understated custom, but the details are sharp. Here he is taking aim at some Uruks near Amon Hen! I was supposed to be working on Frostgrave last week, but got distracted by a small side-project. More on this later. Regular Frostgrave work now resumes. At long last, I finished my second Knight of Minas Tirith that was first seen here. I am extremely happy with how he came out. I think the Warlord horse looks fantastic, definitely better than the Games Workshop one that came with the figure, which still looks just a little bit small to me. Still, I think the pair look pretty good together as they patrol some rocky area near the border with Mordor. For several years, I was averaging nearly 2,000 miles a year on my bike. Then two things happened. My office moved, adding another 3 miles and a very nasty hill to my commute, and I suffered my second bone-breaking bike crash. After recovering from the crash, I went from cycling 60+ miles a week down to about 20. This proved extremely problematic. 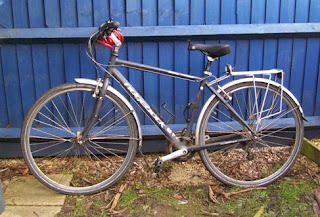 By only cycling to work about once a week, I wasn't building up the endurance necessary for the 17 mile commute. 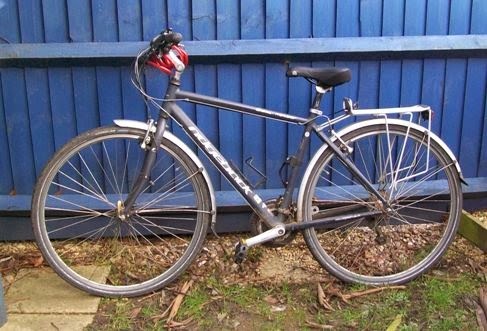 Instead, I would cycle one day and spend the next two, at least, recovering from my exertions. Worse, I’d be so wiped out that I’d come home and could barely help my wife or play with my daughter. I would just collapse in a chair or on the floor. When winter hit, I pretty much packed it in altogether. Spring is coming though, and I am determined. I need to break my muscles out of their funk, and I’m tired of wasting money driving back and forth to work. Last week I made the trip three times, and I’m going to attempt the same this week. My body is aching, and my legs are wobbly, but I am determined. I got a little boost today, I passed the 11,000 mile mark on my cycle tally. Another decal for my bike! (well, I keep meaning to get some decals for my bike, but haven’t yet). Dmitry Burmak, who has painted all of the artwork for Frostgrave, created this little piece to celebrate Frostgrave's win in the Beasts of War awards! Thanks for everything, Dmitry! 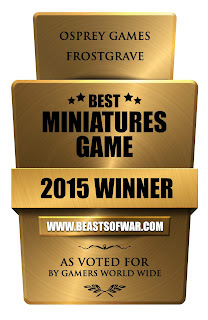 Frostgrave - Best Miniatures Game of 2015! 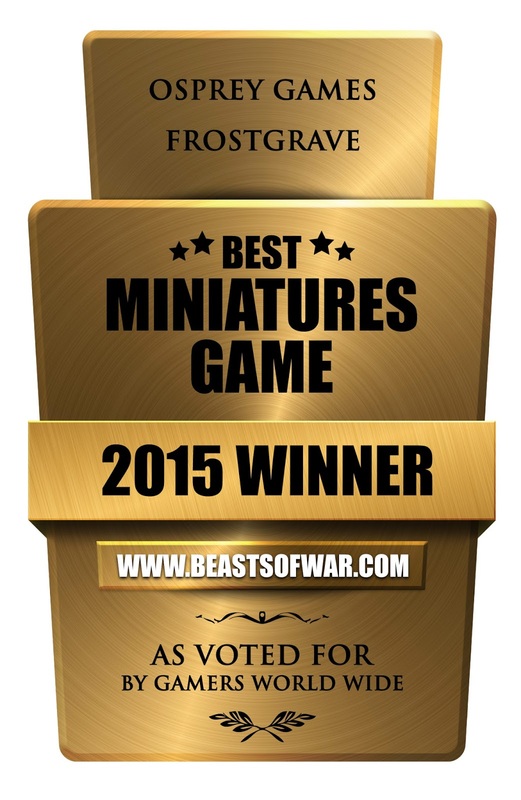 For those that didn't hear the news, Frostgrave was named 'The Best Miniatures Game of 2015' in the Beasts of War awards. The awards were decided by a public vote which makes the win so much better! 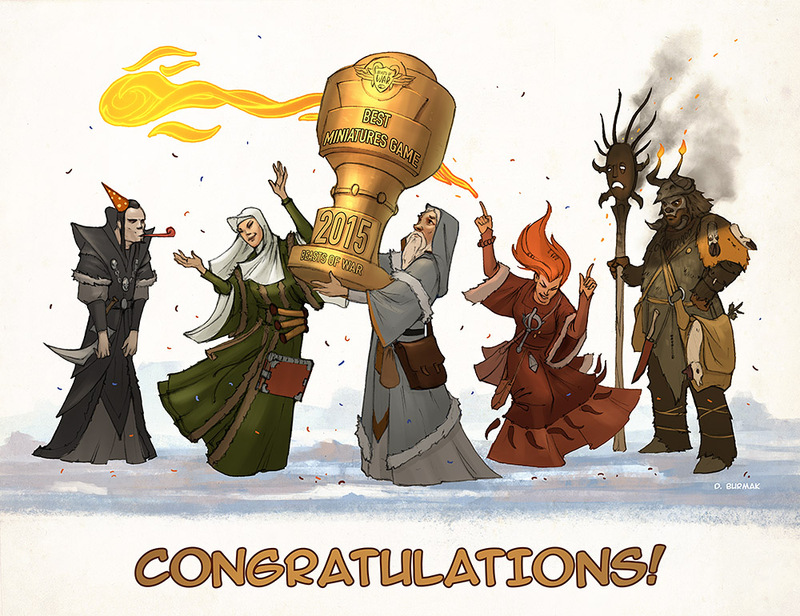 Frostgrave was up against some real top-notch competition, and I don't think I was the only one a little shocked when the winner was announced! 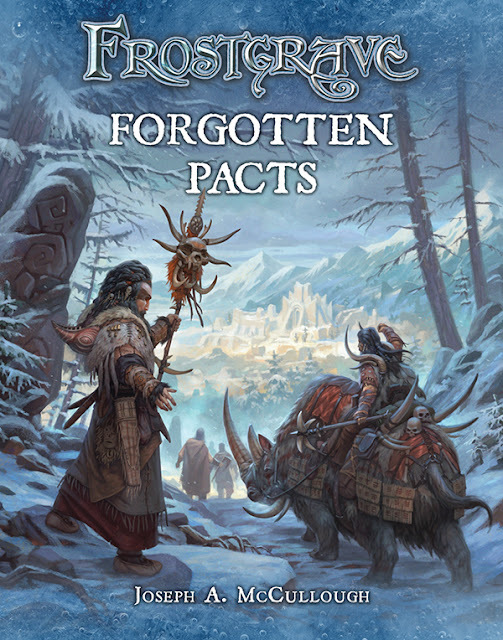 Frostgrave was also nominated in several other categories including Best Artwork (Go Dmitry! ), Best Model Kit (for the Cultist Kit), and Best Expansion (for Thaw of the Lich Lord). So, really amazing results all around. Thanks to everyone who voted for Frostgrave. For all of the talk about gnolls and wooly rhinos, the next Frostgrave supplement to be released will actually be a little ebook called Dark Alchemy. I just submitted the final manuscript to the editor a couple of days ago. When I started work on Dark Alchemy, I thought it was mainly going to be an expansion about potions, and that still forms about half of the book. However, the other half, and the part I enjoyed writing more, was the Dark Alchemy campaign. This is a set of three, closely linked adventures - but with a twist. 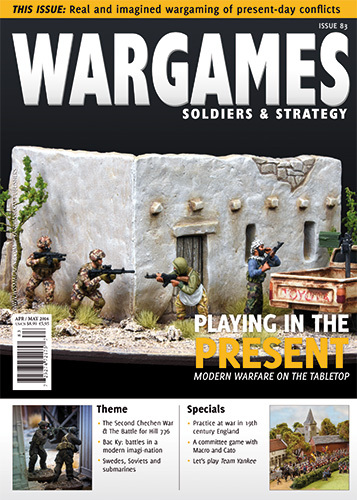 You see, this campaign is designed to played either solo, or by two players working together. It's been a real challenge, and I had to do a lot more playtesting on these scenarios than I normally do. Hopefully, in the end, I've got the balance right. I thought some might enjoy a few photos from my a couple of my personal playtest games. 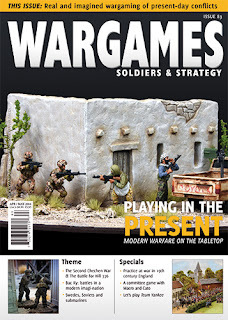 I just received a copy of the latest issue of Wargames: Soldier & Strategy (Issue 83) which contains my short article 'The Frostgrave Auction'. The article is basically about running an 'in campaign' auction for some rare magical items that were found in the Frozen City. The article includes five such items, but this was cut down from the original seven for space reasons. For those completists out there, I'm happy to present the other two here! This magical hand weapon has a +1 damage modifier. In addition, the bearer of the blade can spend one action to drink the potion contained in the pommel. This hidden chamber holds just enough healing potion to heal 2 points of damage. Between games, this potion store can be replenished by sacrificing another Healing Potion owned by the wizard. This replenishment uses up the whole of the Healing Potion. This small pouch of magic beans can be used three times before it is exhausted. To use the beans, the bearer spends an action. The figure may then immediately make a move any distance it wishes upward and then 1” in any direction as a free action. The magic beans may not be used by a figure In Combat.